Size : 19.5 x 11.2 inches. / 49.5 x 28.5 cm. 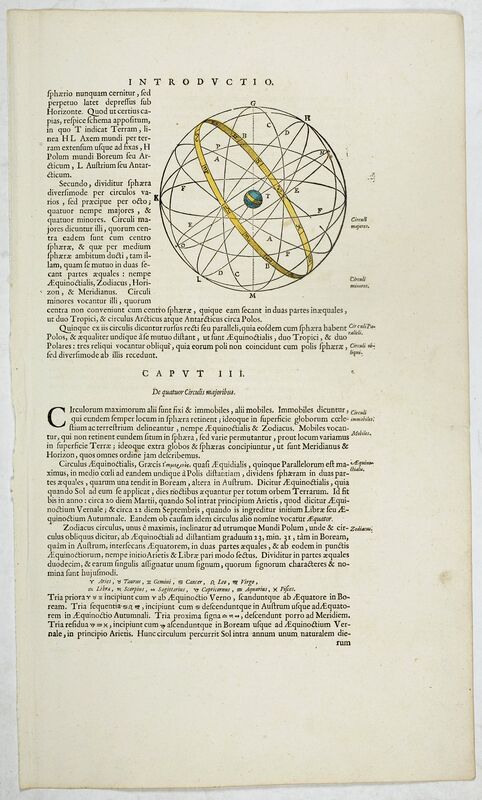 Description :A text page with a wood block of a Helio model of the Universe (120 x 120mm.) from an introduction to Blaeu's atlas.